I’ve been very slow to read and blog about Malm’s indispensable book, almost entirely because of my own idleness but partly for another reason. 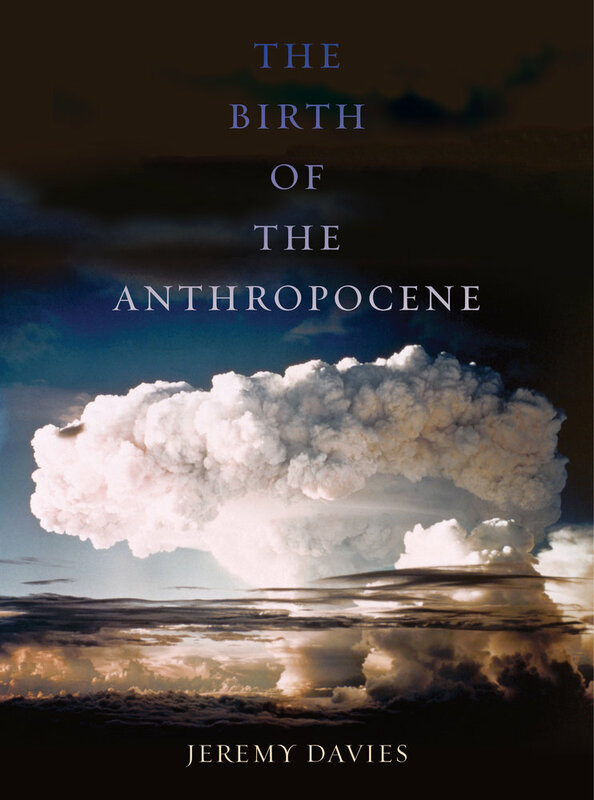 Fossil Capital is a central contribution to the discourse on the Anthropocene, much though Malm himself dislikes the word. It’s rightly sparked a lot of discussion; even so, there’s certainly more to be said about it. It’s a book of large-scale political theory, yes, but it’s also the book of a PhD thesis. It’s an excellent book about the history of capitalism, but it’s a sensational book about the history of the British cotton industry, circa 1825–1850. Fossil Capital has received astute and laudatory reviews in the London Review of Books, in The New Inquiry, in Climate & Capitalism, in International Socialism, in Marx & Philosophy, and in the LSE Review of Books: in a whole range of left-leaning journals, in other words. People were even talking about it at the British Association for Romantic Studies conference this summer—and literary Romanticists barely ever talk about the Industrial Revolution. I more or less agree with the reviews at those links, and don’t want to duplicate them here. But the book hasn’t (yet) been discussed in the Economic History Review or in the Journal of Economic History, and I haven’t been able to find it reviewed in any other economic history journal either. The latter are the reviews I’d really like to read. I was slow to get to Fossil Capital partly because I hoping to see what specialists made of it before I sat down to read it through. The final quarter of the book is about familiar contemporary topics: climate crisis, the rise of China, strategies for a transition away from fossil fuels. But the bulk of it is something different. It’s an intervention in a highly specialised and sometimes recondite academic debate: how to explain Britain’s peculiar economic history in the first half of the nineteenth century. So unlike the reviews above, I don’t want to take Malm’s account of the British Industrial Revolution primarily as a way to understand our contemporary predicament. Instead, I’d like to say something about Fossil Capital as, simply enough, a study of nineteenth-century cotton manufactures. Where does Fossil Capital fit in the historiography of the Industrial Revolution? It’s not my field. But I take it that the fashion over the last generation has been to introduce a more internationalist viewpoint into approaches that were once relatively bounded by the limits of the nation state; to broaden the temporal perspective, tracking slow changes that extend well beyond the early nineteenth century; to put more emphasis on demand, and on the role of the masses as consumers, procreators and in general as decision-makers rather than just workers; to rely heavily on quantitative or statistical methods; and to be wary of giving technological change too central an explanatory role. In all these respects, Fossil Capital is boldly unfashionable. What’s more, several of those fashions have generally been most advanced in work influenced by the broad Marxist historical tradition. Malm’s perspective is explicitly leftist, and he’s at pains to point out that technology isn’t an autonomous driver of historical change. And yet in giving a key causal role to the decisions about investments in competing technologies made by individual capitalists, his position isn’t so remote from that of a Joel Mokyr. Malm refines his focus ruthlessly. The linchpin of the Industrial Revolution, for him, is the cotton industry in and around Lancashire (supplemented by western Scotland), in a period of “structural crisis” from 1825 to 1848. The tightness of that focus pays off abundantly. His much-discussed argument that steam power was neither cheaper or nor more “advanced” than water power during that period (at least until the coming of high-pressure steam right at the end), and that instead it won out over water only because it was more “convenient”—and, crucially, convenient not in some abstract, unarguable way, but in the sense that it better suited a specifically capitalist mode of production—is thrillingly illuminating. Coal and the steam engine were weapons in a class struggle. Steam engines were better suited than water-powered mills to soaking up the labour of an urban proletariat, to countering worker militancy, and to accommodating the requirements of capitalists who wished to compete rather than collaborate with one another. Malm quotes John Kennedy in 1818: “instead of carrying the people to the power, it was found preferable to place the power amongst the people, wherever it was most wanted” (p. 148). Hence the hydrocarbon-fuelled path of Britain’s Industrial Revolution by 1850, leaving vast potential reserves of waterpower still untapped because they didn’t suit the relations of production that happened to be dominant at the time. The way Malm tells this story is utterly absorbing: the magnificent 1820s and 30s waterwheels—“the Lions of Catrine and Hercules of Deanston” (p. 86)—that came to represent the path not taken; the riparian mill colonies in the rural foothills with their workforce of well-remunerated expert hands and forced labour harvested from the workhouses (who “returning from their work, particularly if it was dark … sang, in a body, what I may call revolutionary songs,” p. 135); Malm’s doomed hero, the reservoir genius Robert Thom; the cunning of history that made the Ten Hour movement spur the definitive switch from the wheel to the engine; the bourgeois ideology of steam power and the proletarian loathing of King Steam; the book’s epic vision of how “the perpetual circulation of capital, its fluid move from one circuit to the next, is made possible … by absolutely inert, noncyclical, non-flowing strata of concentrated energy” (p. 307). If you want to know why Britain’s route through the nineteenth century hinged on coal, not water, it’s a great missed opportunity not to compare it to contemporaneous events across the Channel, where economic advance depended mainly on water, not coal. France had achieved a GDP per capita a respectable 68% of the UK’s by 1910, without switching to steam. In France “as late as 1899, over half of the horsepower of newly installed engines came from hydraulic motors.” The French finessed watermill technology in ways that Robert Thom would have admired, and, compared to Britain, “production remained scattered in much smaller, often rural, settlements situated on fast-flowing rivers” (p. 133). So the question really is: why did industrialisation rely far more on coal in Britain (and Belgium, and the Ruhr), than in France (or northern Italy)? Why did some economies privilege “the stock” while others relied more on “the flow,” right up to the coming of hydroelectricity? Malm says nothing about any of this. Fossil Capital’s account of the role of the state likewise suffers from this paucity of international perspective. Malm has very little to say about state power. He makes the startling claim (uncharacteristically unfootnoted) that “in early nineteenth-century British industry, capitalist property relations came close to the ideal anarchical form” (p. 296). This isn’t incidental, but important to his thesis. Manufacturers, he thinks, favoured steam largely because the great advantages of water power could only be unlocked if they were to collaborate on large-scale rational water management schemes. Britain, however, was characterised by no-holds-barred free-market competition, antithetical to such collective enterprise. Really? For many historians (though I’m thinking especially of Prasannan Parthasarathi’s Why Europe Grew Rich and Asia Did Not) Britain had an exceptionally strong central state in the long eighteenth century. Compared to its rivals it fostered industry with strong tariff barriers, it hastened efficiency savings with high consumption taxes, it encouraged internal trade by sponsoring transport improvement, it intervened freely in the workings of the market, and it promoted its commercial interests with military force. Again, this line of inquiry is absent from Fossil Capital. No doubt the British state was indeed retreating towards Victorian laissez-faire during the decades Malm examines. (Hence the repeal of the Combination Acts, which appears rather like a bolt from the blue at the start of his narrative.) But the picture he paints of individual capitalists making their own way across an “anarchical” level playing field sounds rather like the self-justifying mythos of those capitalists themselves. The state had been intervening profoundly in Britain’s hydrology through the Commissions of Sewers for centuries. And grand water engineering works that cut across individual property rights in the interests of energy provision did take place in the late eighteenth century. It’s just that they were canals, geared to coal transportation, not reservoirs. Why? I doubt that the absence of large-scale planned improvements in favour of hydropower in the second quarter of the nineteenth century can be explained by the absence of a state capable of doing that planning if it had really wanted to.